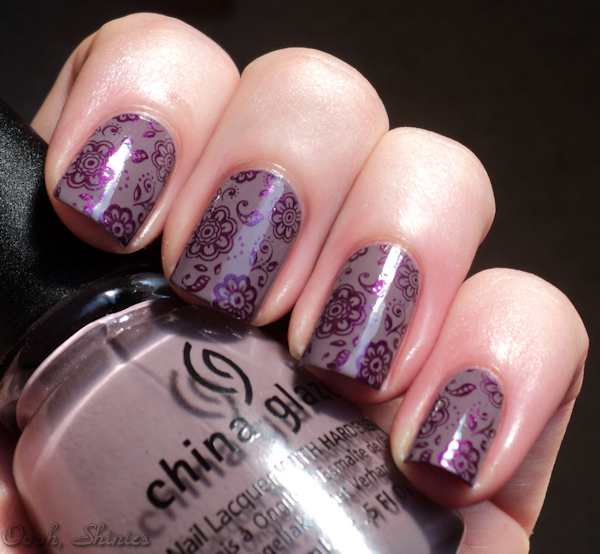 Just a short post today :) I'm wearing 2 coats of China Glaze Below Deck, stamped with Catrice Poison Me, Poison You! and Konad plate m64. Out Of My Mind with Glisten Up!